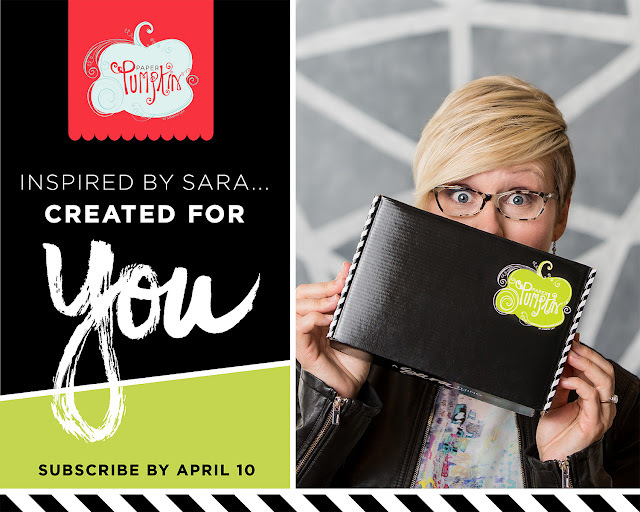 Now might be THE best time to subscribe to Paper Pumpkin, the Stampin' Up! kit in the mail. CEO Sara Douglass has designed the April Paper Pumpkin. I like her style and am anxious to see what the kit holds. 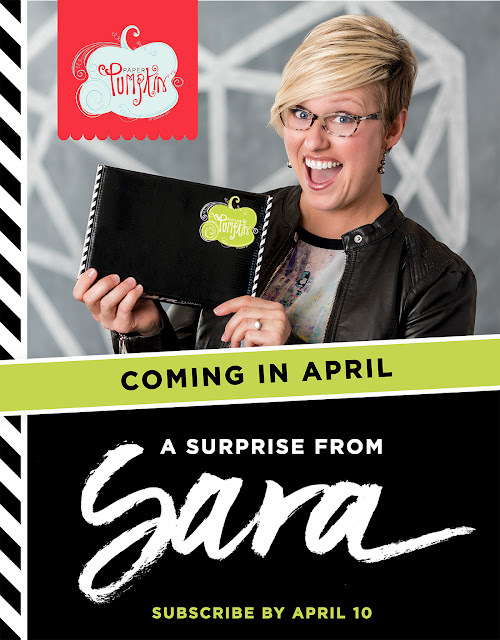 In addition to the kit, Sara is including a surprise in every box! I love surprises. Here is a video where Sara talks about the kit. She mentions the "pop of color" on the box...perhaps a sneak peak? Okay, you might know that I love neutrals so I jumped at the chance to participate in a Tip Top Taupe & Whisper White Color Challenge. I cannot explain my love of a neutral combo but it makes me happy! The card stock base is Tip Top Taupe cut 4 1/4" x 8 1/2". Add a Whisper White layer. On top of that use the Sunburst Thinlits Die cut from Tip Top Taupe. I used my Clear Wink of Stella on one edge the "bursts" to add some contrast and shimmer. Using the Badges and Banners stamp I stamped the banner and the No 1 circle image in Tip Taupe Taupe ink. The banner image was stamped off once. Both images were punched out. I used the Best Badge and the 1 3/8" Circle punches and layered the circle image onto a Whisper White circle cut from the Layering Circles Framelits. The Badges and Banners is available along with the Best Badge punch as a Bundle and you save 10%! Such a deal. Adhere the punched badge then use Dimensionals to add the circle. I tucked some Silver Metallic Thread behind the badge and added a few Rhinestones to finish it off. Not too fussy so I think this would work great for guys! Don't forget that there is only about a week left for Sale-a-bration, when you get free product with every $50 purchase. Shop online and be sure to use my March Host Code P2EUH6EX when ordering. When your order is $150 or more you do not need the host code. Finally getting some time to play with some of the products in the Occasions Catalog. Cool Treats just makes me happy looking at the set. While I think of bright colors when I see it, I used the Frozen Treats Dies to make a simple white on white background. I love the Cool Treats bundle! I used the greeting from Layering Love, stamped first in Peekaboo Peach, then off-setting it slightly restamped the image in Calypso Coral that had a little Versamark on the lower part of the greeting. After stamping I embossed that lower portion with Gold Embossing Powder. This is the Partial Embossing Technique. It's a fun one! The base layer is Calypso Coral as is the layer behind the greeting. I stamped one of the popcicle elements in Calypso Coral, added a Crumb Cake stick and a few rhinestones. When you place your order from my online store be sure to use the Host Code P2EUH6EX for orders under $150 in product. It's Sale-a-bration time and you can choose a free item for each $50 in product you order. Sale-a-bration is the perfect time to become a demonstrator, join for $99 and you get to choose TWO additional stamp sets of any value.